Public relations is the art of managing the spread of information about an individual or company is disseminated to the public, and attempting to frame that information in a positive light. Every individual or entity operating in the public eye faces the spread of information about them or their practices to the public. While public relations, or PR, is an industry unto itself, any attempt to portray oneself in a certain way to the public can be considered public relations. Although not inherent in the definition, PR is often thought of as "spin, " with the goal being to present the person, company or brand in the best light possible. PR differs from advertising in that PR attempts to represent a person or brand's image in ways that will appear organic, such as generating good press from independent sources and recommending business decisions that will incur public support. 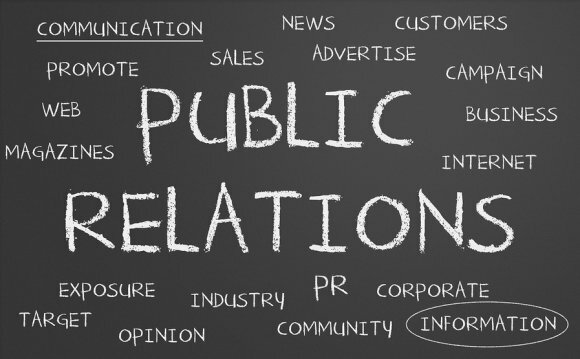 Loosely defined until the mid-twentieth century, PR is one of the fastest growing industries in the United States. PR is essential to any company's success, especially when shares in the company are publicly traded and the value of a share depends on the public's confidence in a company or brand. In addition to handling media requests, information queries and shareholder concerns, PR personnel are frequently responsible for crafting and maintaining the corporation's image. Occasionally, PR professionals also engage in negative PR, or willful attempts to discredit a rival brand or company, although such practices are not in keeping with the industry codes of conduct. PR also involves managing a company's reputation in the eyes of its customers. In a 2012 PR crisis, Chick-Fil-A had to issue emergency statements with respect to its stance on homosexual marriage after a Chick-Fil-A executive publicly came out against it. The statement, stressing company neutrality and attempting to bring focus back to Chick-Fil-A's strengths as a fast food restaurant, is a good representation of the goals of PR. Most major companies have a PR department or utilize the services of an outside firm. A company often has multiple publics to impress. Internally, a company will want to present itself as competently operated to their investors and biggest shareholders, which can involve arranging product demonstrations or other events directed towards shareholders. Externally, a company that sells a good or service directly to consumers will want to present a public image that will encourage genuine, lasting brand support, which extends beyond the somewhat knowingly specious goals of advertising. This can involve reassuring customers during a crisis, such as when Target Corporation offered a $10 million settlement to its customers following a credit card hack in an attempt to restore good faith, or the promotion of a lifestyle that would make the company's product or service attractive. The company also generates PR to attract investors; in this respect, good PR is especially important for startups or rapidly expanding companies.